Turn cards over one at a time, guessing higher or lower. If all 6 cards are turned over with the correct guess they win a prize! 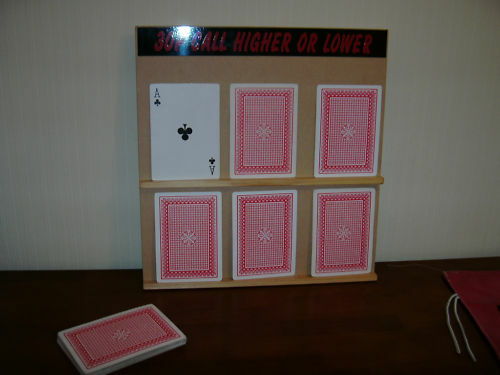 Set includes: Wooden playing board and 7” x 5” cards.